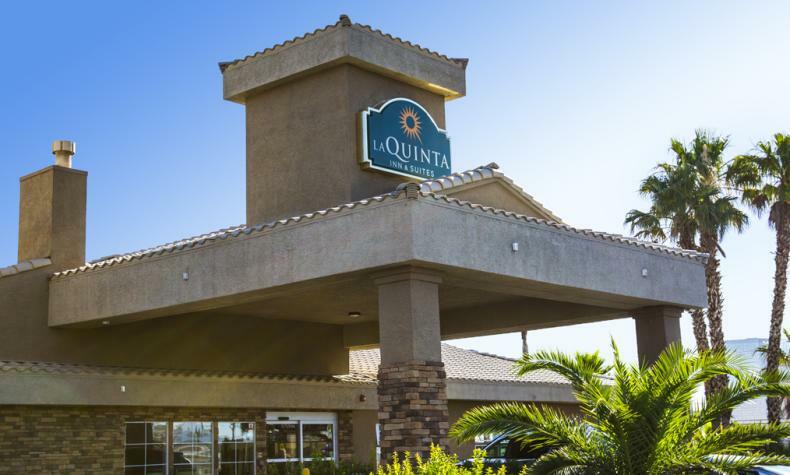 Minutes from McCarran International Airport and a half-mile from award-winning restaurants, entertainment and gaming options on the world-famous Las Vegas Strip, La Quinta Inn & Suites − Tropicana offers an alternative to the large casino-resort hotels. Amenities include pool and Jacuzzi, well-equipped fitness center, laundry facilities, and complimentary continental breakfast. Free Wi-Fi, coffeemaker, hair dryer, iron and ironing board included in rooms.